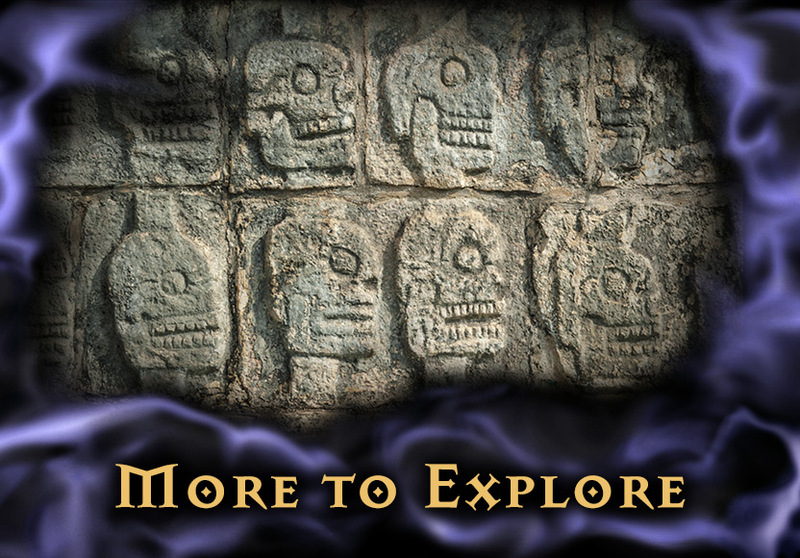 Below you'll find links to the Web sites of Festival of the Dead event hosts, information to help you plan your trip to Salem, and some of our friends out there on the Web! Link your site to Festival of the Dead! Festival of the Dead Sponsors! The following fine businesses are sponsors of Festival of the Dead. Please show them your utmost support for believing in the magic! A Blend of Creative Food and Fresh Thinking. Open 7 days. Lunch, Dinner, Tapas, Sunday Brunch, Kids, Late Night, Full Bar, Patio Dining, Function Room, Live Music Fri/Mon Nights. From Dorothy Morrison's sinfully rich coffees, to her personally handcrafted altar cloths, handbags and elegant ritual accoutrements, Wicked Witch Studios is a one stop shop for Witches with discriminating taste. The following sites will help you plan your trip to Salem! The Official City Guide to year round events, shops, attractions, and places to stay! The Official City Guide to Salem's October festivities! Where to Get Your Costume! These Salem shops offer long capes, pointy hats, striped socks, faerie rings, and spectacular gowns to wear to your favorite Festival of the Dead event! The Fool's Mansion features a full line of mystical, medieval, renaissance, and gothic clothing, as well as custom made capes and gowns to bring out your inner wizard or witch! On the lighter side, they carry a selection of the most wonderful court jester hats, hence the name of their store. Whether you frequent Renaissance Faires or seek fine ritual garb, make this one of the stops on your tour through the Witch City! If you'd like to treat yourself to a facial or massage during your vacation, Laura Lanes Skin Care offers a serene, relaxing atmosphere in the heart of downtown Salem. This high-end salon also offers waxing, body treatments, skin care products, and makeup styling. Stop by to get dolled up for one of Salem's big Halloween events! Looking for something beyond Salem? Visit these friends of Festival of the Dead on the Web and spread the joy of Halloween worldwide! When in New Orleans, visit Bloody Mary, the Poet Priestess, paranormal investigator, and event hostess for Festival of the Dead, for her moonlight cemetery tour and tales of ghosts, vampires, and the mysteries of Voodoo. America's most unique art gallery for over twenty-five years, Westgate Necromantic is a tribute to the Angel of Death Azrael and offers art and literature that explores personifications of Death and Necromantic practice. Their informative Web site features art, articles, e-cards, and a message board gathering those who have answered death's call! No other single, mass-produced item quite captures the imagination of the American public like the Ouija board. Is it just a toy as many claim, or is it a portal to the spirit realm where one may find the answers to life's many mysteries? Does the Ouija sometimes take on a life of its own? Is it an implement of enlightenment, or a doorway to disaster? Questions like these continue to intrigue after a hundred years and are what makes the Ouija board extraordinary and truly magical.